Native to Europe, Asia, Pakistan, and the Madeira Islands. Introduced and naturalized. 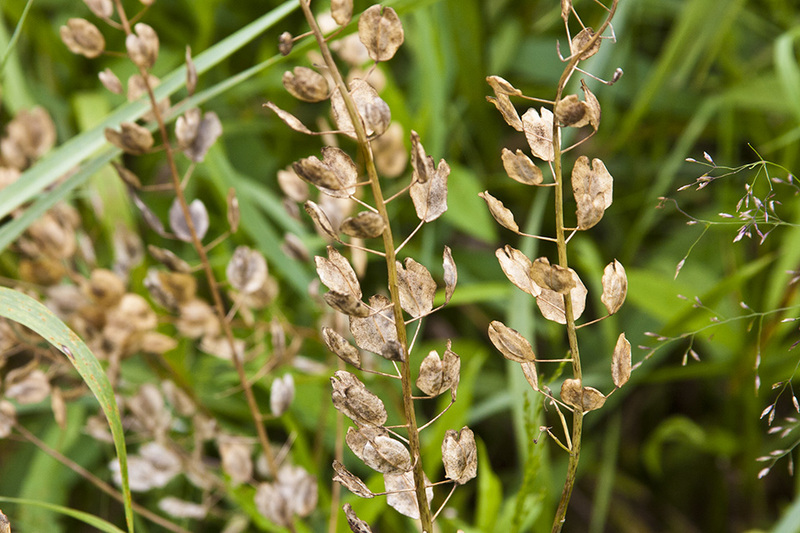 The seed pods are flat, round, and at least ⅓″ long when mature. They are notched at the tip, the notch much deeper than it is wide. 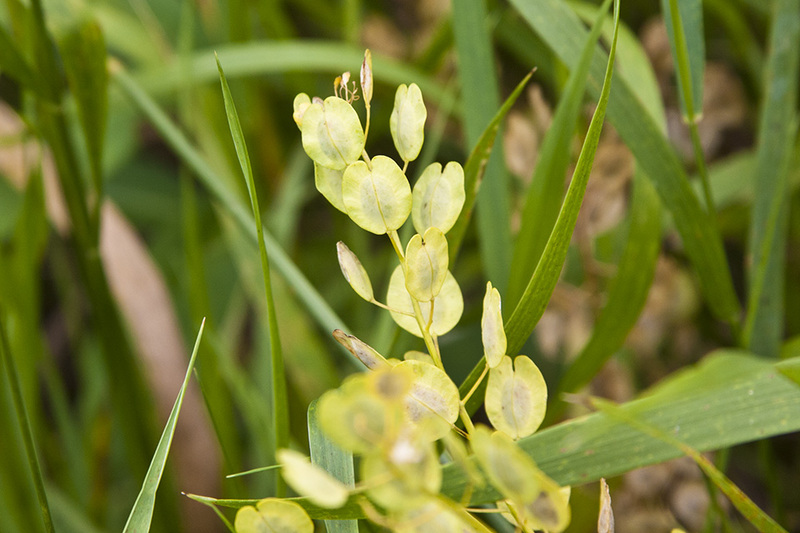 There is a distinct separation between the outer, papery winged margin of the pod and the two seeds it contains. 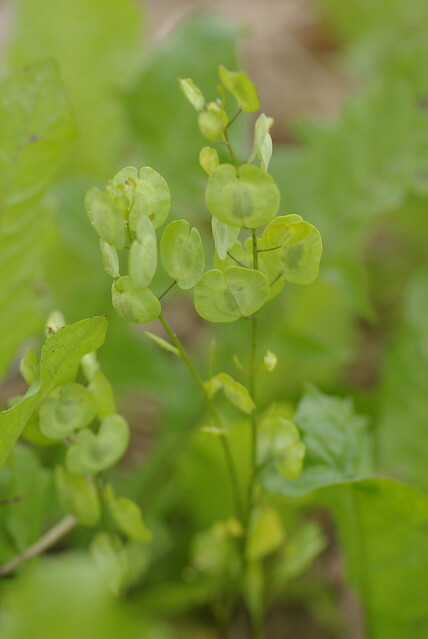 The large size and shape of the pods is the plant’s most distintive feature. 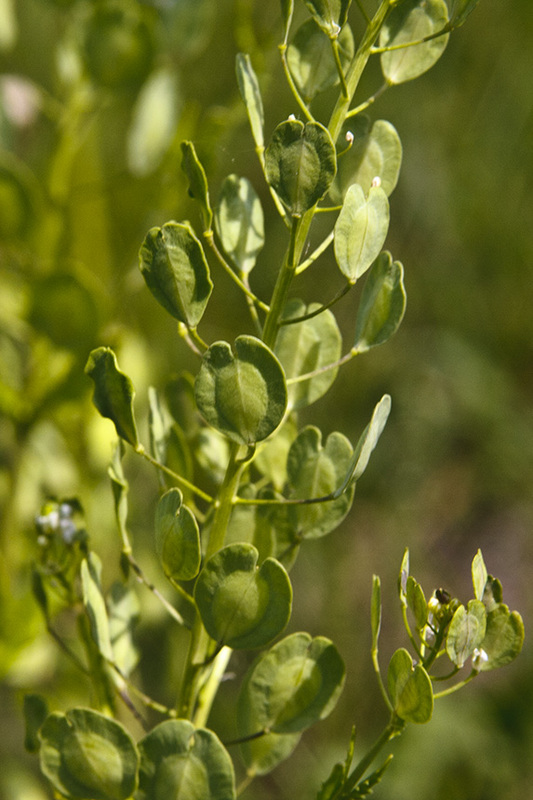 Shepherd’s purse (Capsella bursa-pastoris) has seed pods that are triangular, about ¼″ long at maturity, and are not notched. 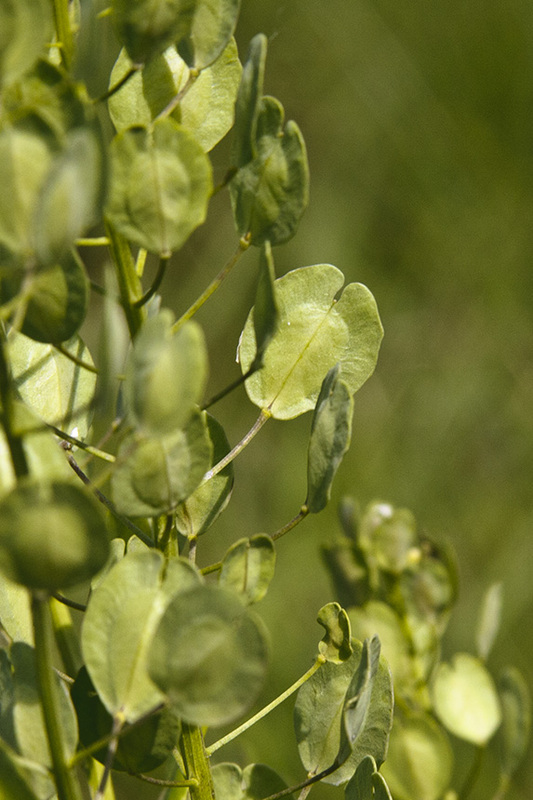 Witte krodde (Thlaspi arvensi) is een eenjarige plant die behoort tot de kruisbloemenfamilie (Brassicaceae). 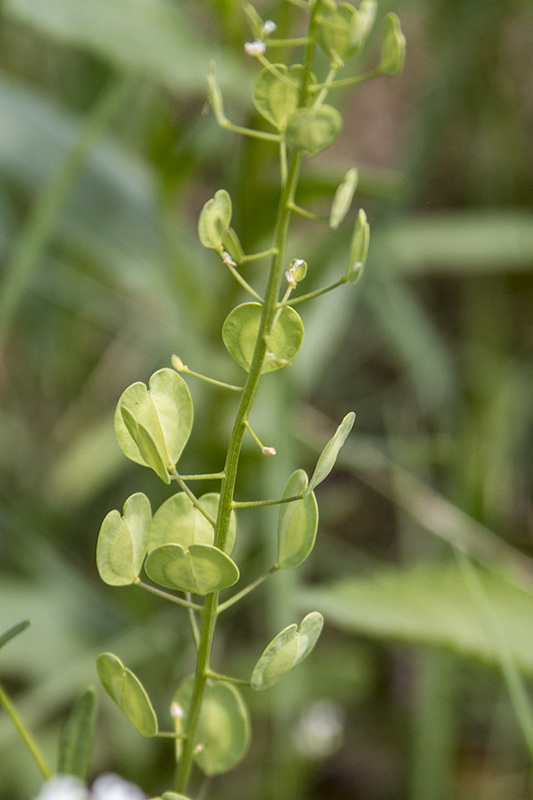 It's our Weed of the Week, Field Pennycress. Helen Atthowe of http://www.veganicpermaculture.com talks about using winter annuals as a lving mulch. 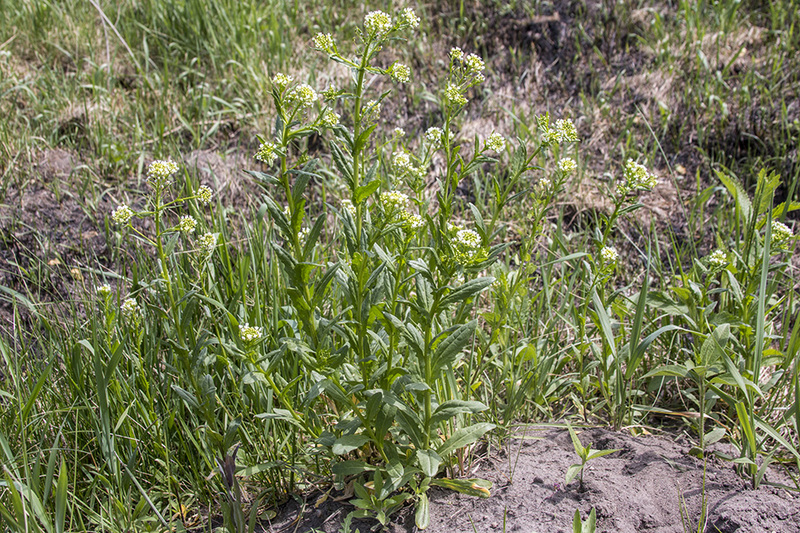 In this case, field penny cress - Thlaspi arvense. 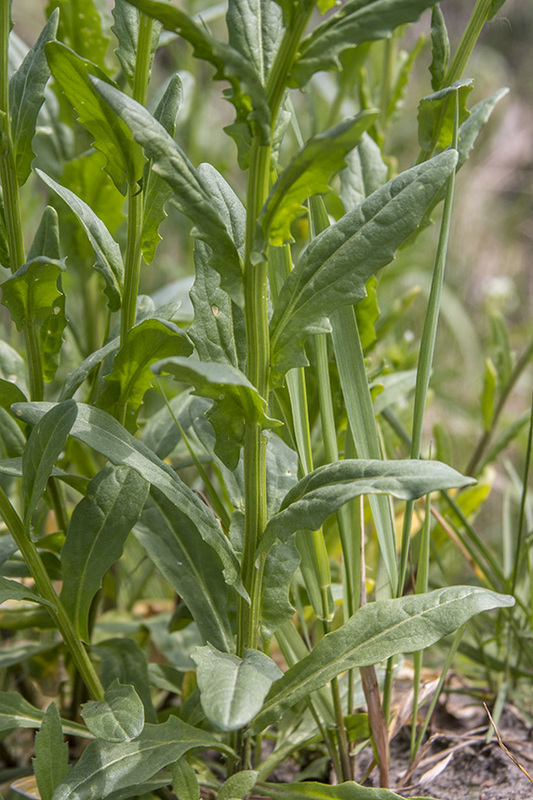 It grows in the late fall or early spring and then, conveniently dies for the summer growing season, thus leaving behind a light mulch that makes it difficult for weeds to get a start. This is a case of choosing your weeds. If you choose to have no weeds, then you will get weeds that you don't want. 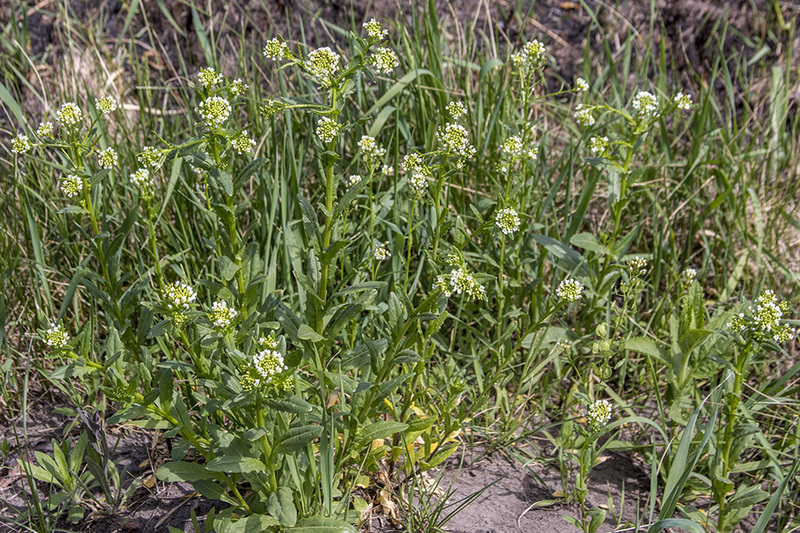 The penny cress is an extremely polite weed: it does not compete for water or nutrients throughout the typical growing season, and it helps to retard other weeds. Thanks for your views, comments, and support. 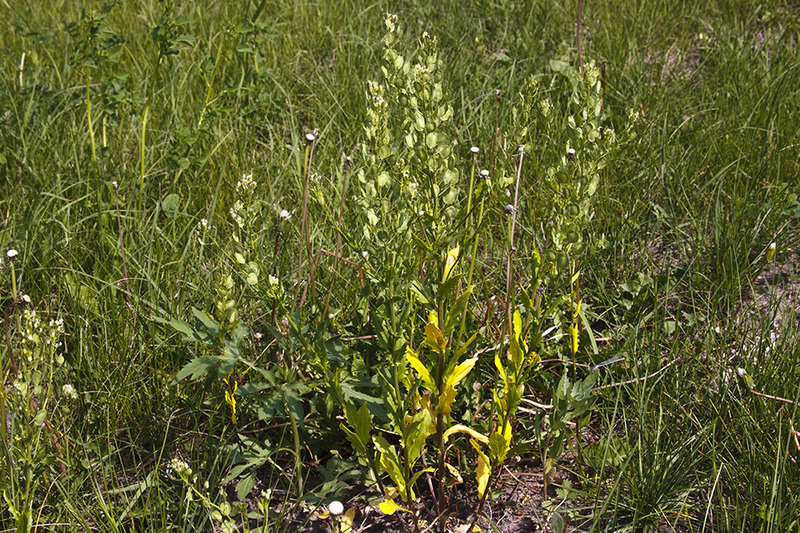 Want to see more wild plant videos and potential uses? Look here: http://www.youtube.com/user/MiWilderness Everything is organized into playlists on the feed page. This is part two continuing the series on how to identify plants by flower. Sometimes identification by flower is difficult if not impossible. 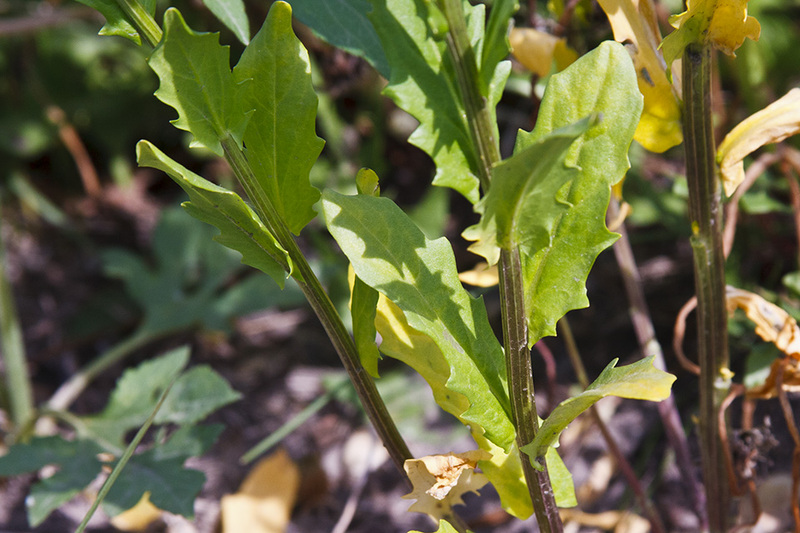 Using careful observation of other plant characteristics such as leaf attachment, petiole, lack of petiole, seed shape, smell, color, and other features may lead to a positive identification. By dissecting flowers it is possible to place plants into families. 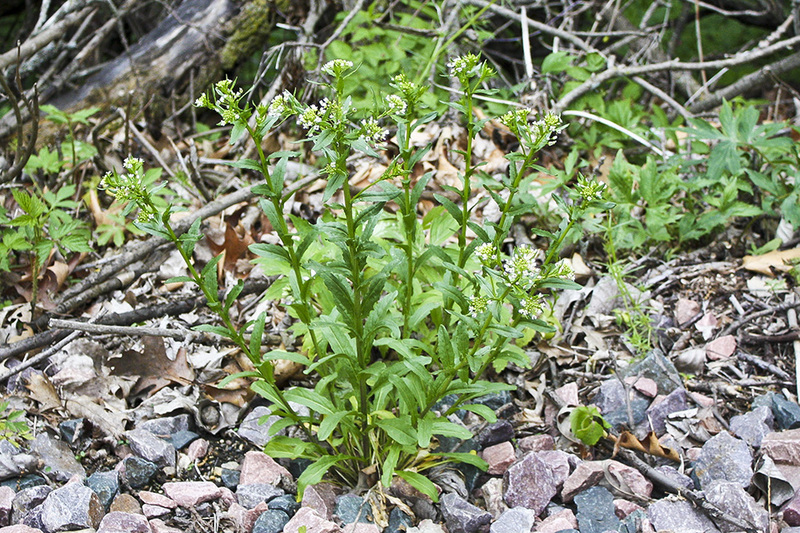 By placing plants into families it is much easier to obtain species identification. By obtaining species identification it is possible to research plants by Latin name and determine potential uses, whether or not those uses be for food, medicine, poison, or utility purposes. 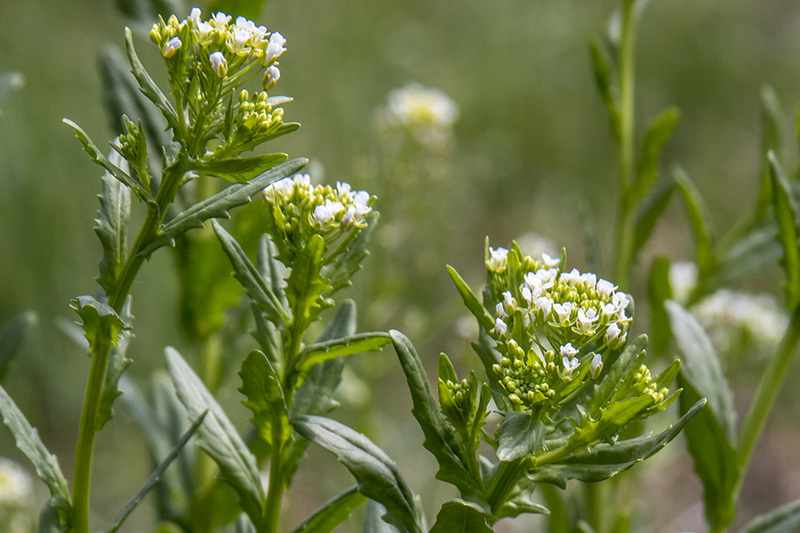 This video shows how to identify a plant to the Mustard family by flower pattern. 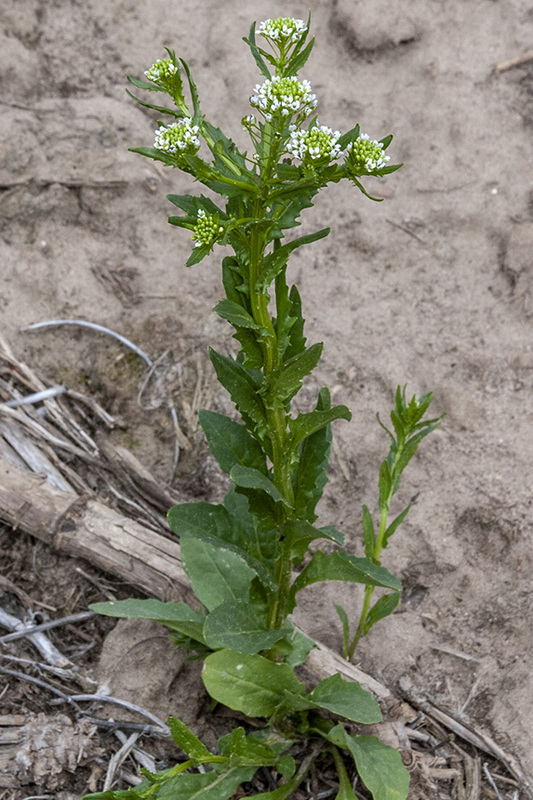 Mustards have racemes, a spiral like flower and seed structure attaching to stem, they have flowers with 4 sepals, 4 petals, 6 stamen; 4 long and 2 short, and one pistil. 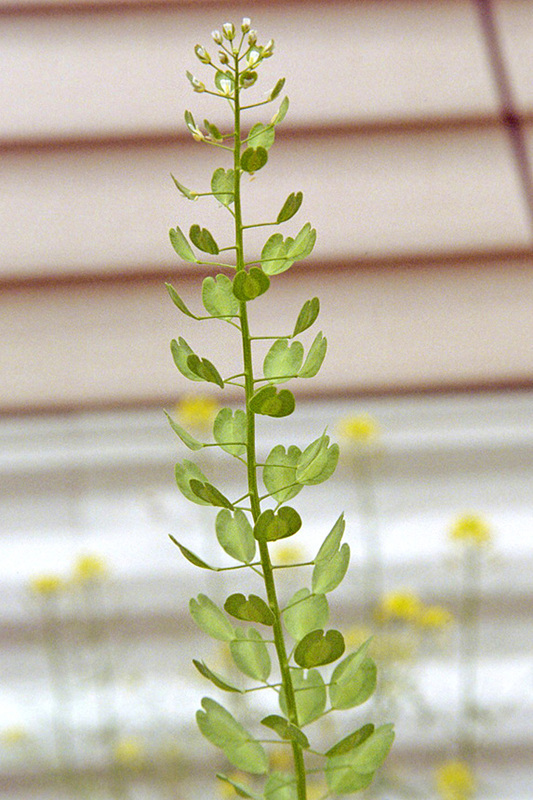 Brassica, Brassicaceae, Cruciferae, or cabbage family of plants. as they are sometimes called are fairly easy to identify and become familiar with. Mustards have a multitude of uses and are extremely abundant making them very worth while to learn. 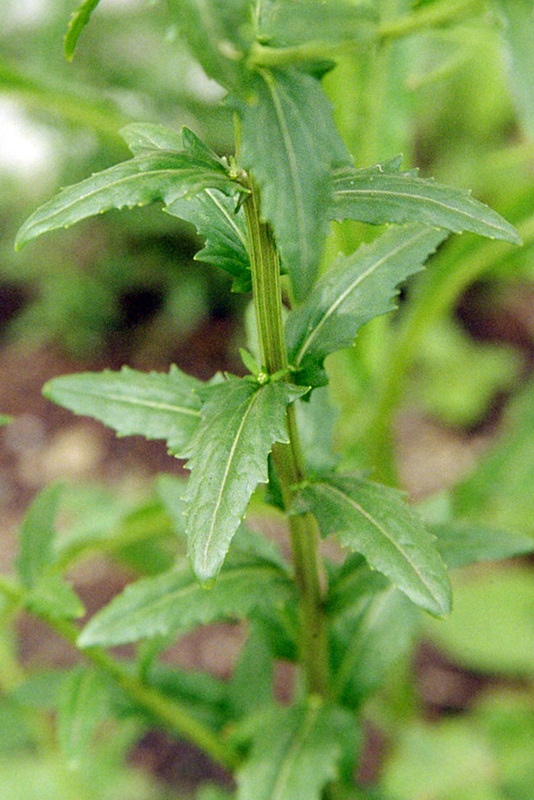 The Mustard family of plants contains many species, many of which are used for food, medicine, or utility purposes. 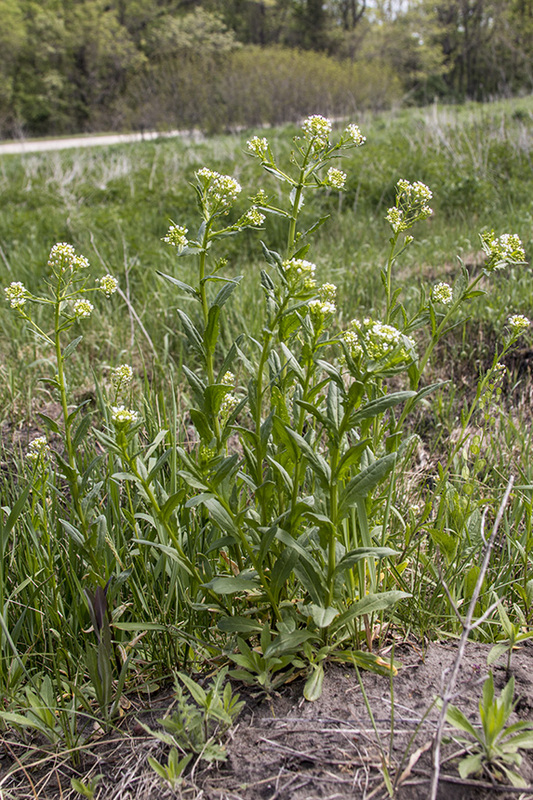 Mustard plants are used to make biodiesel and also are known to contain glucosinolates which are allelopathic, meaning they prevent other plants from growing. 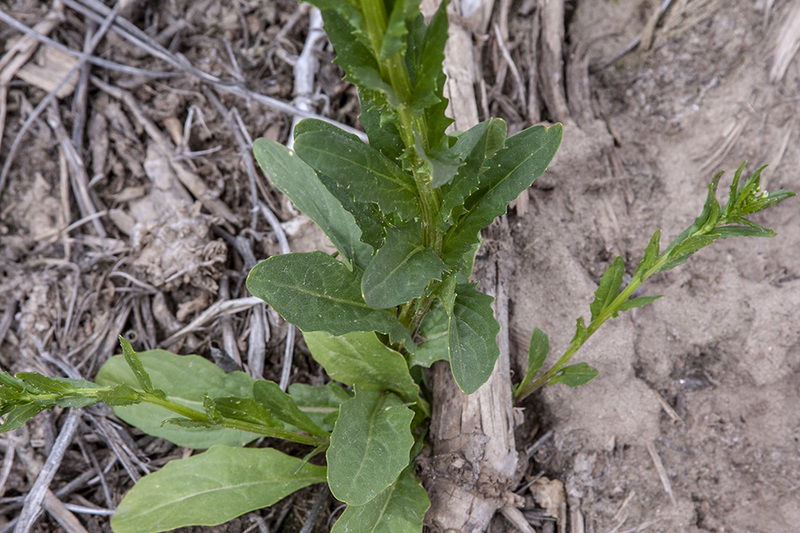 Having this characteristic they are used to prevent weeds in gardens, mainly in large agricultural operations. Canola oil is made with a mustard family plant. Some mustard seeds make a good substitute for black pepper. Mustard plasters are used to relieve chest congestion. 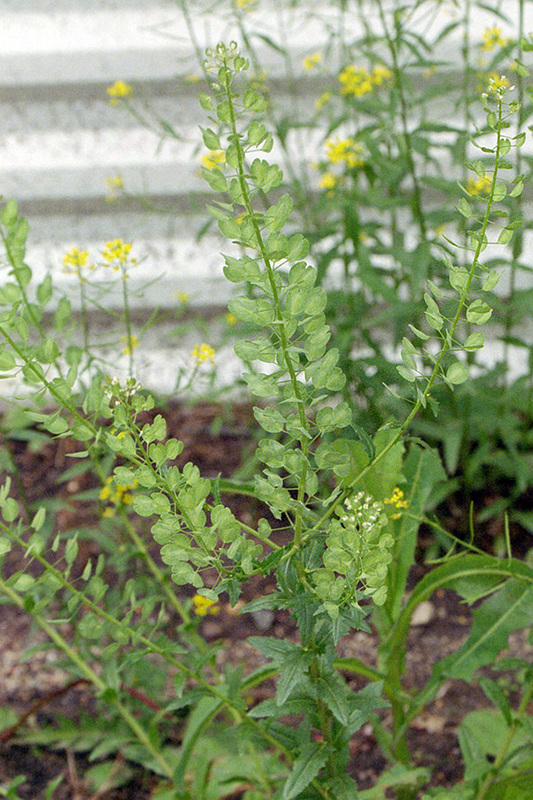 There are many Mustard family plants grown in the garden; Broccoli, cauliflower, Brussel sprouts, Cabbage, Turnips, Radishes, Kale, Kohlrabi, Rhutabega, and others. The characteristics described in this video can be seen in the cultivated garden varieties as well. Taking a plant one is already familiar with, such as a household plant or garden variety, and examining the characteristics is a great way to quickly become familiar with a plant family and the patterns it features.